...known for its ability to cater for everyone from complete beginners to seasoned professionals. Challenging fun for all groups, shapes and sizes. We pride ourselves in having some of the best instructors in the business. 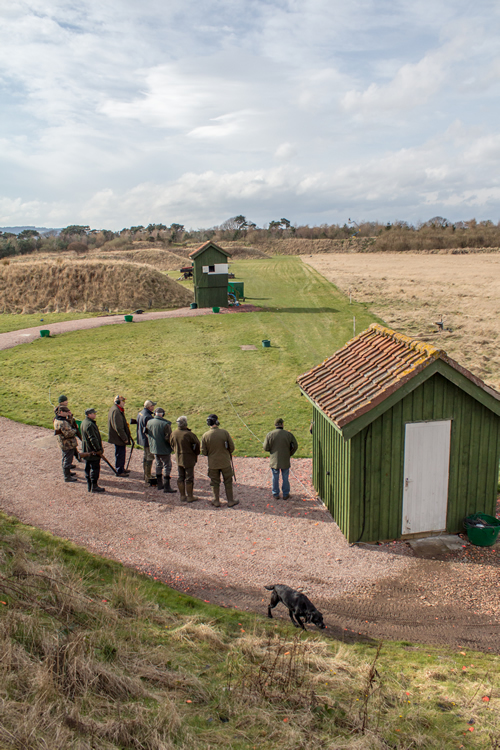 The Scottish Clay Shooting Centre. 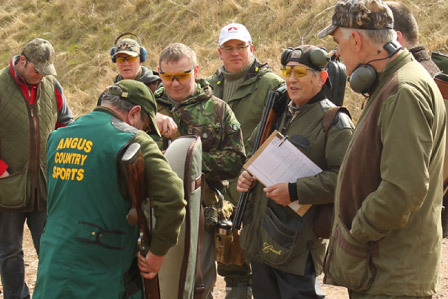 The Scottish Clay Shooting Centre is one of the leading clay grounds in the country and is well known for its ability to cater for everyone from complete beginners to seasoned professionals, from small hen parties to large corporate days. Our team of highly qualified instructors is the best in the business and they make sure that everyone leaves the centre having improved and, most importantly, having had a great time. Situated in the picturesque countryside 10 minutes from St Andrews, the SCSC is within easy reach of Dundee (15mins) and the north. Leuchars, which is just five minutes down the road, also has regular trains to Edinburgh (55mins) and Glasgow (1hr 10mins). Tired of missing when your friends don’t? Or is there maybe one type of bird that always eludes you? We’ll be able to take you back to basics and make you the best shot you can be or help you work up to that competition you’ve wanted to do. Every single lesson at the SCSC is tailored to the individual. We don’t believe that everyone can be taught in the same way, as everyone is different. 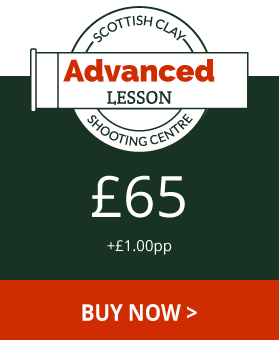 In each lesson we find out how much you’ve shot, what type of shooting you want to do, what you feel you need to improve on and, importantly, how many times you’ve been instructed by a qualified coach. We can provide everything you need from guns, cartridges and ear and eye protection, and shoulder protection. We take you through the dos and don’ts, the ever-important safety, gun selection, gun mount and how to hit moving targets in a safe and controlled environment. 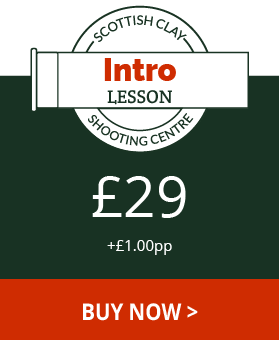 Once we’ve covered the basics we’ll get you shooting at 15 targets to let you get a feel for the sport. You will get 25 targets and the one-to-one lesson usually takes about an hour. It may take longer – we don’t mind at all, though, as we believe that clay shooting is one sport which you should never feel rushed in. An Advanced Lesson will usually take one to two hours, it very much depends on the lesson type as they can vary a great deal. The lesson consists of a one to one private coaching session from one of our highly qualified instructors. 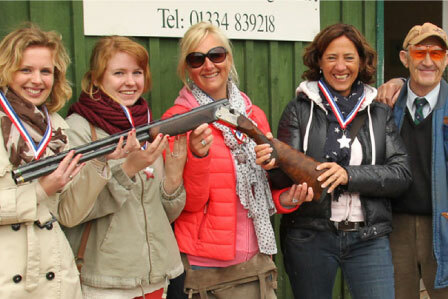 As they are highly tailored, our Advanced lessons do not include a set number of cartridges or clays. At the SCSC we can cater for any size of group whether that’s two people or 35. Never shot clays before? Don’t worry; we have a team of instructors on hand to take you through everything and organise either a taster or a full-blown competition. If you’re organising a stag party or hen party then please click here to see how we can take all the stress out of it for you.Please call in advance if there are more than four people in your group. It is always best to book if you want to have the undivided attention of an instructor. Team bonding days fill most of us with dread. And rightly so. That’s why at the SCSC we believe that corporate days out should be about having fun and learning something a bit different. While lots of businesses will try and help you work as a team, we’ll pitch you all against each other in a competition. We can, of course, let you shoot as a team if you really want, but where’s the fun in that? Yes, a trip to a spa may seem like a good idea, as does that party bus which takes you round Dundee. But do you really want to be cooped up all day having your face pummeled by a so-called beauty expert? No, you really don’t. Make up is temporary, but being a good shot lasts a lifetime (at least we think that’s how that quote goes…). 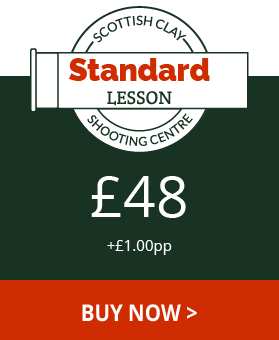 Getting a family member or friend a voucher to come and have a lesson at the Scottish Clay Shooting Centre is a great present. Why? ‍It’s not a book or socks. They’ll love the fact it’s different and exciting. They’ll stop complaining about missing clays/game birds. After a lesson with us we’ll make sure they leave having had a great time and having improved. You save on wrapping paper. Vouchers don’t need 10 rolls of Tesco’s finest to cover them. Your searching stops here. We’ve got a secure and safe PayPal account and you can pay right now – your mission is over, you can make a cup of tea and relax. You don’t even need to leave the house.For those who wish to use more traditional methods we also accept payment by by cheque or over the phone.Once we’ve received your order we’ll send the appropriate voucher straight to your door with a first class stamp on the envelope.